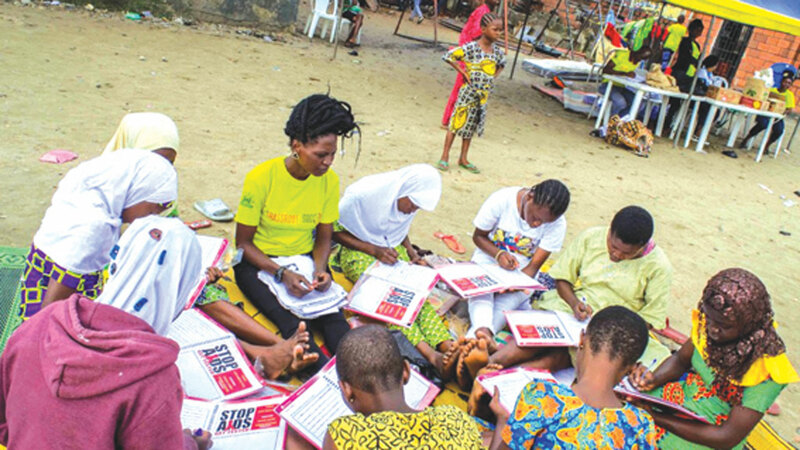 The United Nations Population Fund (UNFPA) and Youth Empowerment and Development Initiative (YEDI) with support from the Lagos State AIDS Control Agency (LSACA) have provided free HIV Testing and Counseling to residents of Adeniji-Adele community in Lagos Island. The exercise is in line with the United Nation’s 90-90-90 goal to ensure that by 2020, 90 per cent of people living with HIV will know their HIV status, 90 per cent of people with diagnosed HIV infection will receive sustained antiretroviral therapy, and 90 per cent of all people receiving antiretroviral therapy will have viral suppression. The event, which was held at Oba Palace Junction, Iga Idugaran, featured a mini-clinic for biomedical services such as check-ups, malaria testing and distribution of insecticidal bed nets. It witnessed over 200 people, including adolescents, market women and Iyaloja of Iga Idugaran market. According to the Adolescent Sexual & Reproductive Health Program Analyst, UNFPA, Dr. Esther Somefun, adolescents are the most vulnerable to the HIV epidemic, noting that government must go the extra mile in creating awareness on the prevention of HIV/AIDS digitally, and providing free access to medical services to young people across the country. On her part, Head of Programs, YEDI, Mrs. Oluwatomisin Adeoye, urged all organizations and the government not to relent in their efforts in eradicating the epidemic in Nigeria, adding that more attention should be paid to the rural communities across the country. She called for the collaboration of all stakeholders in the health sector to achieve the UN’s global strategy of 90:90:90 by 2020.